My sister Dorothy (then Smith of course) found this photo, she thinks it was from Coronation Day in 1953 celebrated in Black Patch Park. She is the little ‘flower girl’ on the front row. My grandmother Annie Conner (formerly Hearnshaw) is the first lady on the left of the photograph she lived in Eva Road. The gentleman next to her wearing the hat is my Uncle Bob (Banfield), originally from Sunderland, he worked at Avery’s for many years. I was about 20 months old at this point and fail to make an appearance. The ‘stamp’ on the back of the photograph is ‘Taylor’s of 366, Soho Road. Sent to us by the little boy in the clown suit Dave Hudson. WHO ARE THE OTHERS? 29/04/2012 MEMORIES FROM THE PARK KEEPERS DAUGHTERS. Myself and my sister have today stumbled on your site with interest. My name is Stacey Smith (formally Morgan). I am the youngest daughter of Alan Morgan and lived in the Park Keepers house in Black Patch Park from my birth in 1980 until 1995 after my fathers death when we were forced to leave by the council. Even when we were growing up, the council wanted to tear down the park and create a industrial area. My father stood his ground and refused to leave the park keepers house as he loved the park so much. My elder sister and brother, Roy and Ann have been mentioned in the memories on your site as living there in the 60's. We have many memories of growing up in the park as well as the gypsies coming to the park on a yearly basis. We attended Merryhill Primary. We would be interested to see if anyone has any memories of our father and also any pictures of the park keepers house that no longer is there. We moved away from the area in 1995 , but still have many fond memories of our childhood. 19/03/2011 MEMORIES OF A FORGOTTEN AGE Hi well here we are memories of a forgotten age THE GLORIOUS BLACKPATCH PARK . 24/02/10 BLACK PATCH PARK DURING THE WAR? I wonder if anyone recalls how Black Patch park was maintained during World War11. I know that barrage balloons were installed there as my Aunty Peggy Hallsworth (Maiden name Smithers), was stationed there all the way from Surbiton in Surrey. It was through being stationed at the park that she met and eventually married my Uncle Ronnie. I have heard from a reliable source in my family, that there was an incident where a barrage balloon was stabbed with a knitting needle whilst it was winched down, and that later the balloon escaped and ended up over the houses in Avery Road. Does anyone else remember that? Perhaps we need the memories of the children at that time, and get them to recall how they spent their childhood in and around Black Patch and the “Green” during the war years. I am sure it would make fascinating reading. Having just taken my "Last View" of a Area into which I grew up from childhood, and was always happy with all the adversities of life that presented its self. My first visit was the flat to which was beyond belief with only eight dilapidated shops standing with new houses replacing the triangle of Park Road-Lodge Rd-Icknield Street for the future generations and all the open park land prevoiusly Soho Pool Wharf, Musgrove Park " Rec"& AllSaints Park Lodge Road. Visiting all the local Streets & Roads and Schools.Finally to vist the Memorable part of youth and growing up.The Black Patch Park with thousands of hours of enjoyment.This is the saddest part of my life seening the condition this Park has been allowed to be unrecongnisable, all round the Perimeter of the Park overgrowth Shrubbery and litter bags of rubbish still uncollected 6 months after my indignation with Sandwell Council who promised to a clearance of Enviromental Friendliness. The only clean part of this area is the Soho Foundry Tavern were you and local pepole enjoyed a day reminisicing of the Romany Attachment to the Park. My one sorrow is that the Friends of the park group do not have anyone, really presuring the Council to realight this historical Park to its former glory. Having read all the e-mails on your wonderful Web Site from all over the world shows the affection held by former Brookfield, All Saints, Winson Green and Soho Families. As children they used the Park and are now there families do in their own right. I leave this all behind for future generation to wonder how we were. Having taken my grandchildren to the area were I was born and lived for 34 years of my life (never ashamed of the area and the beloved Black Patch) and telling them the enjoyment I had in my youth. Having explained the regeneration of the new housing and All Saints & Musgrave Park (Rec) was a credit to the developers. We then proceeded to visit the historical Black Patch Park, to my disgust it was a complete disgrace to witness. Perrot Street & Kitchener Street was all enclosed in overgrowth & rubbish. Continuing around the perimeter along Woodburn Rd (one of the entrances into the park) the other in Foundry Lane / Wellington Street one great tip of rubbish with no access into the Park was evident. I only hope that residents that lived in our era and have since emigrated all over the world can maintain their visions of remembrance. This is a complete disgrace of the History and our memories. Your self Ted having written on the History of the Patch and having the connections does bring some credence to the Park. 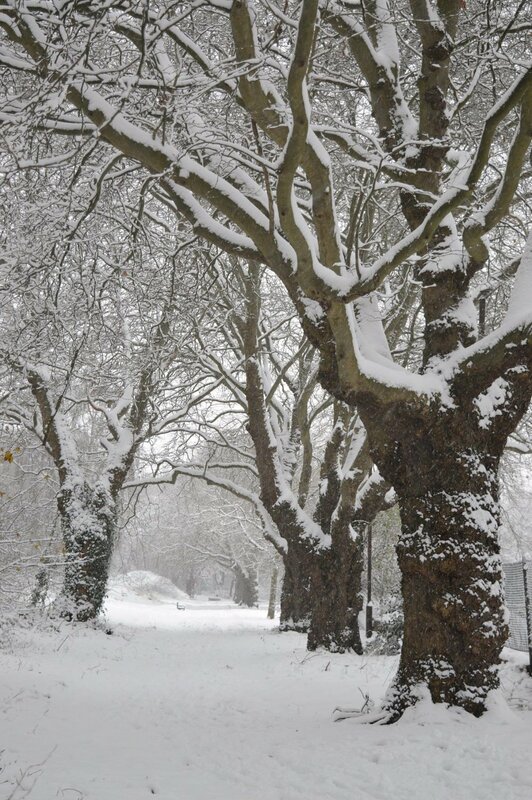 14/01/09 GOOD NEWS: I was so pleased to hear about the positive outcome for all your campaigning to save Black Patch park. I think that a big party there in the summer would be an excellent idea! 13/01/09 GOOD NEWS: Brilliant news! Thank heavens for common sense at last that “ Black Patch” is to be retained as an open space! Well done for all your campaigning and keeping the “patch” in the news. What we need now is a big get together, perhaps in the summer, of all the people who have supported the campaign right there in Black Patch. I am sure there would be lots of takers! It would bring back loads of memories for a tremendous amount of people, especially those who used the Patch as kids. How about it? 'Great News' Ted. That the 'Black Patch' has been designated as an 'Open Space'.....Many happy memories of taking the old 'caseball' there, and belting it between two sets of coats or jumpers and playing on the 'witches hat'....and finishing the day by sharing a 'penny vantas' from the shop in Perrott Street on the way home. Pleased to see that the PATCH is to be retained as open Space & Park for the residents and local people to enjoy,without any fears of losing a monument of our history, I hope that it is restored to its former glory. If I can assist in any way please contact me. I am unable to attend in person, but always be part of me. This is the good news as we now understand it. An e-mail circulated to the Friends of Black Patch Park by Friends committee member Phil Crumpton on 22 Feb 2007 reported that Black Patch Park is saved - even though the challenge is now to find the resources for restoration. Philip attended Sandwell Council's Regeneration Advisory Committee, held from 1815 on 21 February 2007. He reported that at that meeting it became clear that Sandwell Council is intent on amending its prior proposals and now plans to "retain the park" while redeveloping the surrounding area of Foundry Lane. "Within the adopted Unitary Development Plan, sites around Black Patch Park, near to the Soho Foundry were allocated for industrial uses in order to attract investment for a Technology Park. However, this has not come to fruition. A recent Employment Land Survey has revealed that there is no immediate need for further industrial land in this location. As there are no deliverable proposals identified, and to accommodate the wishes of Friends of Black Patch Park to retain the Park area, these allocations have been removed. The land will therefore form a green focal point for any development which takes place on the adjoining sites. The Preferred Option for land adjacent to Soho Foundry has been allocated for Mixed Used which can incorporate industrial and offices, and possibly leisure, community and educational facilities associated to the Foundry once a suitable re-use has been identified." Unitary Development Plan as it relates to the retention of Black Patch Park will have to be approved by the Secretary of State. Until that happens BLACK PATCH PARK, despite the local change of heart that we are celebrating, remains rezoned for industrial use. On the 1st of March 2007 the plaque erected to the memory of the Romany Gypsies who occupied Black Patch was STOLEN. I have many happy memories of Black Patch. I grew up on Park Terrace, off Rookery Road Handsworth.Weekends and nearly every holiday a group of us would take sandwiches and drinks and go and adventure. I have used Black Patch Park to ride my bike around there, it is very peacful and quiet and it is a nice place when you want some peace. I am working on a research project and have some involvement with a nearby school, James Watt Primary School. A couple of children said they came to this park for football, but I did not have the opportunity to ask them the details. Your picture on wikipedia shows the goals there, however when I had a short walk round one side of Black Patch park, in September, I was rather dismayed at the unkempt appearance of most of it. However you obviously have good space for football, and I wondered, firstly when the football is played exactly, and when any regeneration might begin, I noticed there are signs up about European funding. Thanks for your help, and good luck in keeping the place open and used. Council to allow this deterioration. park,there are still plenty of houses and people in the vacinity who would appreciate this once again. the Park. With the Memories this has for myself of plesure of youth I will pay for the Advertisments. Ted you have the contacts start the Ball rolling. team,give me another go,he smashed me for a couple of runs,and then I bowled him out. Sports Teacher? picked up stumps and took us back to School.futher discussion about me bowling. this teacher would never cane me.he hurt me more by depriving me of any sporting actives. Seeing the comments of the tennis courts. Silvia Fry recalled behind the sons of rest got the brain matter working, the tennis was not very well supported in the park and was abandond this space was commonderd a by new team sport of Speedway Cycle Racing. This was the era of the Brummies speedway at Perry Barr 1947-49, and the youths tried to emulate their Favourite rider,with pedal power We organised a team of fast cyclists and and formed a Cycle Speedway Team,of local lads Albert Dipple. Dennis Greenfield* Albert Brennan. John Jones***Dennis Rowberry***John Manison. Tommy Jones.Ray Ward.Colin Mills. *Later Became Test Rider Norton Motor Cycles *** This two lads became Post office Telegram deliver cyclists. Reading comments of the Black Patch,recalled by a lady named Sylvia Fry of younger years of were she lived as stated Wellington Street in 1940s the memories of the Black Patch that you remember, you are the only person to mention the Tennis Court that was situated behind the Sons of Rest Foundry Lane,congratulations,for jogging my memory. The Fish Shop near the recc gates was worth every penney spent to fill a empty stomach. Handsworth New Road School were many of local Boys & Girl attended.boys from Wellington Street Named Kenny Bayliss, and Ron Plant,was a pal of myself , he was reard by his Auntie and when National Service was interduced he joined the Army,and when home on leave he would come to our house and my mother would look after him.he later was stationed abroad, and I Lost contact. When the youths of the area left Handsworth New Rd school, they still used the Black Patch Park for recreactional activates. I have previously mentiond football having great conections with park. The first team to use this local facility was Soho Villa mostly lads from Kitchener St & Merryhill, taking the name that's Historicaly documented. The names of players that gave enjoyment to people watching in the park. How wonderful to be able to go onto a site such as this, my Dad worked at Winson Green Prison so we lived on the Green, Black Patch, Summerfield and Handsworth parks were our regular haunts, glad to hear they have been preserved for other generations. I with other friends went frequently to Black Patch park during summer days/evenings, Sundays after Church, we may have only had a ball, cricket bat and one stump but we had hours of fun, there were swings and roundabouts also, we never felt afraid to play there and our play was totaly innocent, happy days and fond memories. Some of my mates from Foundry Road: Maureen Hickin, Veronica Nicholson, John Jenkins, Michael Kench, Douglas Evans, Morris Evans, Brian Selby. I attended Handworth New Road School from 1949-1953. Black Patch was used by the school, as I remember being marched down on two occasions, once for an art lesson where we sketched park of the park, and another we went down with a chain link and attempted to "survey" and draw out an area of the park. I didn't live near the Park but remember it well. Club, we where playing a Cup Match at the patch when I shouted for a penalty, and the Referee refused my call, so being the person that I was started arguing with him, and not receiving any satisfaction I pick him up, and I hung him on the spiked railing with the back collar of his blouse, and left him dangling. The match was abandoned, consequences followed another story. Black Patch was the only park easily available to me, as a child in the 1940’s. Living in Wellington Street, I only had one road to cross, so Mother was not too worried. For years, I thought it was called ‘Black Patch’ because the boys played football on it so much, that there was very little grass- and certainly no flowers! (To see flowers, we would walk with mother on a Saturday to Handsworth Park or Summerfield Park.) Years later, my mother told me the story of the last gypsy queen dying there, and the burning of her caravan and all her belongings. She said that the ground was black for years, due to the intensity of the bonfire, and that was how the park got its name. Her telling of the story was so vivid that I assumed that this had happened when she was a little girl Imagine my surprise when I read recently that this actually happened in 1907 – and my mother wasn’t born till 1911. There was also a tennis court, but as none of us could afford a tennis bat, it was little used. I remember being delighted that my elder brother wanted me to go with him to the park – in reality, it was because I was small enough to squeeze through the railings and go down to the culvert to rescue balls and aeroplanes which the boys somehow managed to lob over! The deal was that if I retrieved his balls, he would look after me when I went on the swings and roundabout. My friend lived in a pre-fab at the other side of the park, and I was so impressed with that pre-fab – it was the only home I knew that had an inside toilet! When mother was feeling happy, she would give me a penny to spend. There was a chip shop on the way to the park, and for a halfpenny, we would have a bag of ‘bits of batter’. When mother was feeling really rich, she would give us threepence to buy some chips to bring home and share. That was such a treat. 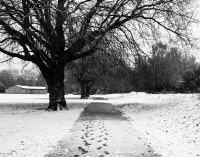 For all it’s scruffy, grey appearance, the park was much loved and used by us local children – our parents used to say that it was neglected, as it was right on the border of ‘Brum and Smerrick’, and neither of the councils wanted to put money into a park when it was used by people from the other side of the street. Nothing changes very much, does it! I was born in 1948 in Alexandra Avenue which geagraphicaly was the other side of the Gas Works and Great Western Railway line from Black Patch Park.My earliest memories are of going with my dad and brothers/sisters - I am the youngest but one of nine children to see the Dudley Dasher steaming out from Birmingham Snow Hill on its way with its commuters - and then on to Black Patch Park. My favourite game was to drop small sticks or leaves into the brook and from one side of the pedestrian footbridge in the park - and then rush to see it come out the other side. Sometimes I would drop things in with my brothers and sisters to see whose came out first. Although I no longer live in the area, seeing a news report about Black Patch Park brought back fond memories of living and working in the area. It was for me, an oasis of green in which to escape the dirt and noise of the foundry during the week and somewhere for my kids to play at the weekend. The surrounding area may now require 'redevelopment' but this should not mean the distruction of this area of peace and tranquility. Although I’ve now lived in Yorkshire for 3O years or so, I grew up in the Winson Green/ Handsworth area and have many many happy memories of playing football and cricket in Black Patch Park. I still watch Midlands Today mostly because of the sport (I remain, for my sins an avid Blues fan) and saw the article last night about the campaign to keep the Patch in the face of pressure from Sandwell MBC. All my adult life has been spent working in education. I know that if it hadn’t been for the park and having it just down the road as a place to let off youthful steam, I and numerous other kids from that time would have stood a good chance of getting into trouble with the authorities. When will they learn that kids need somewhere to play, scream and shout away from the streets. They don’t need ASBOs they need space! Good luck with your fight and thanks for the excellent website, which has brought back so much. My great great great great mother and farther were the king and queen of the gyspies of the black patch. This "BLACK PATCH SITE" is so important it needs to be kept live so my children can one day see where there background is. When i found out about my history i was overwelmed. I have not got a story to tell but I have just found out that I am related by birth to the Romany Gypsies who lived on the land. My great, great, grandparents were Rueben & Cornelia Smith. It seems they had changed their name to Davis by 1901 and are still living on the land. Their daughter Charlotte married Thomas Price in St James church 1895 and they had their first born my granddad at 17 Foundry Lane in 1896. They later moved to 28 Vittoria Street and later still to Kitchener Street. Although I have never visited the area or that part of the country I do feel strongly that they should leave the land and all its history alone so future generations can still enjoy it; there are not enough places like this for people to enjoy anymore. Hi, my name is Pete Bloomer. I lived in Black Patch for a few troubled years 88-91. My memories are not great, I lived in Merry Hill Court when it caught fire twice and then in its shadow on Foundry Lane in a very run down, unheated maizonette, before the housing association took over. Black Patch park was a bit of relief from a difficult reality of being unemployed and in a really run down council estate. I remember towards the end of my stay in 1991 how ridiculous it seemed that Sandwell Council who had clearly put our lives at risk in Merry Hill Court (they couldn't find the money to keep a front door on the block!) had spent a lot of money putting a concrete barrier around the park to stop travellers from staying there. I knew something of the history and enjoyed seeing ponies grazing on the park. I didn't get to know the travellers but felt a respect existed in Black Patch for there visits (different from acute local hostility to travellers, I experienced up the road off Windmill Lane, Victoria Park). I wish the campaign to keep the developers hands off Black Patch park well and hope that somehow the park can be returned to the travellers and local people. I think that there has been so much ongoing persecution of the travellers way of life that it is fantastic that there is a claim to some inner city land which might again be used legally. So many sites have been closed down. Can the friends include this in their plans? All the best Mr P.A Bloomer. Standing, as I often do, where the Hockley and Boundary Brooks join in Black Patch Park (as shown in the photo) I cannot help but reflect on the history of the area. This is the ancient Anglo-Saxon boundary between Warwickshire and Staffordshire; in the late 18th and early 19th centuries it was close neighbour to the Boulton and Watt Soho Foundry - the site where steam engines destined for a world-wide market were made, then it was home to Romany Gypsies from the mid 19th century (if not before) till they were finally and cruelly evicted . Since 1911 it has been a designated park - a playground for successive generations of local children. 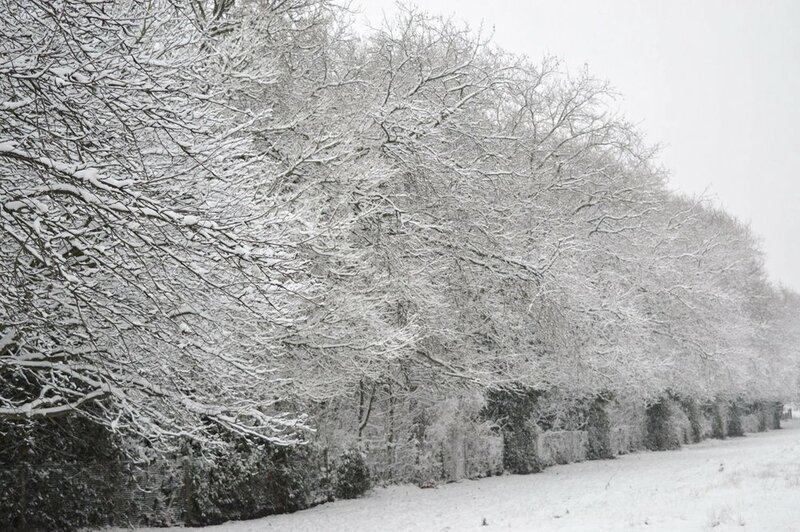 Today it is a valued green space for sports, play, wildlife and community enjoyment. How then could Sandwell MBC zone two thirds of this park for industrial development? The Friends of Black Park are opposed to any development on the 20 acres of Black Patch Park as originally purchased by subscription by local people. I hope you will join our campaign to have the whole of Black Patch Park re-designated as green space in perpetuity. One important way you can help the campaign is by adding your vote plus memories and stories about Black Patch Park to this website. During the depression years of the 1920's and 30's I spent my childhood in a small house in Kitchener Street, Winson Green. There were six in our family two sisters, Doris and Olive, one brother Albert and my mother and father. My father's name was Albert Frank Robins and my mother's name Winifred Clarice. My name is John William Robins and I married Dora Amy Pratt who lived in Perrott Street at the same time. We were married at Bishop Latimers Church where I had served in the choir as a boy. My father was totally blind caused by an accident while working in his father's factory. This happened just before my mother and father were married. I have many fond memories of life in and around the Black Patch Park and hope that it can be saved from the developers. I live in Western Australia but was born in Murdoch Road, Birmingham. One of a family of 10, my sister has been carrying out a genealogy of the family and we found that we are descendents of the Black Patch Gypsies. We're all really proud of this and we all want the Black Patch to be retained as a recreational ground and appreciated for its cultural heritage. Apart from its historical significance, I'm sure that it also has relevance for its present community in providing a wonderful space of play and leisurely family activities. Long may the Black Patch survive! How can they destroy the beauty of Black Patch Park. I'm 15 years old and I regularly use the park for the odd kick around with my mates and if this park is destroyed by yet another housing development we will have nowhere else to go. They say that they want children to stop playing on the streets and stop being a nuisance, but where are we suppose to go if they destroy the only place we can go. 08/07/05 How important is Black Patch Park I will tell you, if it was a building it would have listed status , but unfortunatly it's not. To anyone who was brought up in Winson Green it was the very centre of our lives. Mom and Dad took us there to play when we were just kids, and we took ourselves there when we were older to while away the school holiday. We took a bottle of pop and some sandwiches and stayed there all day, with never a care in the world. 'The Patch' must not disappear, it is as important now as it was then, probable more so. Our open spaces are fast disappearing and this must not be allowed to happen here. Great to see the fight for the Black Patch and the allotments is still going on since I last posted over a year ago.Keep it up don't let the idiots grind you down. Good Luck Tom Loughridge, Causeway Coast, Northern Ireland. I have just been reading the site re the changes envisaged for Black Patch Park. This must be stopped, I am sure the kids and families of the area today appreciate this little bit of greenery as much as my family did many years ago. In the 1950's/1960's it was a haven and I have very fond memories and some of my earlister photographs taken in this park. Good luck with the campaign. I have fond memeories of Black Patch Park as my parents were housed from 1947 in the prefabs fronting onto Woodburn Road I was born there in 1950 and lived there until my parents moved in 1953 even though I was very young I can remember living there and indeed the day we left. My mother passed away recently and amongst her belongings were her rent books from 1947 through to 1985 covering three addresses and are interesting to see the rent that was paid 60 years ago. From Woodburn Road we moved to Earlsmead Road but I still went to Bolton Road school and would play with friends in the park having races with sticks thrown into the brook from the bridge. I played football at Black Patch Park in the late 1960's through the 1970's into the early 1980's for a team called Trafford Park, later called Shenstone United. From memory we played in the Birmingham Festival league. The thing that stands out in my memory is, that there were no shower facilities, we used to wash down after games in a dustbin, kindly filled with warm water by the groundsman! More interestingly, I believe, there are family connections with its Gypsy past! My mothers father had the surname of Loveridge and had I believe an ancestry traceable back to the gypsies associated with Black Patch Park. I have no documentary proof of this, just family heresay. I have just looked at your site about Black Patch Park. I was born and grew up in Harding Street Winson Green with my two brothers and three sisters and we had many happy hours there. It would be a great pity to destroy something that has made generations of children and adults happy. We moved from Winson Green when I was 11 and I am now 50 with a grown up son of my own. I still see several people that I knew when I was a child and they all remember Black Patch Park. If there is any decency left in Birmingham City Council (Sandwell MBC look after the park) they will leave this park land for other generations of children to have fun in. If this park was a building, it would be graded as a listed building, unfortunately, it is not, and therefore like all other plots of land in Birmingham they want to build on it. Stick to your guns and keep the park. p.s. if you need any help contact me there are a lot of people I know that would help too! My brothers, my sister and I grew up in Winson Green in the fifties and early sixties. Even in those days, when it was possible to play in the streets without getting flattened by the traffic, Black Patch park was where we spent whole days, playing safely and having impromptu cricket and football matches with anyone who happened to be there. When we grew older we appreciated the flowers and gardens. We have all moved away from Winson Green now but I for one want to support the campaign to preserve Black Patch park as an amenity for future generations. Places like Black Patch are indispensible to big cities. They must not be built on - when they are gone they are gone for good. Allowing the developers to remove them from the people is bad stewardship. I have not logged onto the site for a long time, and was unaware of the intention to destroy the Black Patch and adjacent allotments. I have been very fortunate in my life and it will have little affect on my wife and myself. We have recently retired to live on the magnificent Atlantic Causeway Coast at Whitepark Bay a few miles from the Giants Causeway in Northern Ireland. Although I left Perrott Street fifty years ago and Birmingham over thirty years ago to live on the Wirral in Cheshire. I have never forgotten my childhood in Vittoria Street and the Black Patch. My Grandmother and Aunt Nell (Wilson) whose husband is buried at Anzio in Italy lived at 14 and my cousin Jean Roden lived next door. I lived a lot during the war at with my Gran and Aunt because of my mother helping the war effort and my dad being away, as most peoples dads were. After the war we got one of the new Pre Fabs built for squaddies returning from the war, the second one down from the Park Lodge..
Like most kids during and after the war I was bought up in a poor background but we had a good quality of life and were well cared for with our free Birmingham Post & Mail hob nailed boots. Like other posts on the board the Patch and the Wicket by the canal was my hunting ground and I was a soft target for Padgett [the parky] if I got caught riding my bike because he only had to tell my dad through the fence, our garden backed onto the putting green. We read of the destruction of school playing fields and playgrounds and kids suffering from obesity and ill health because of the lack of exercise because there is no where safe to play. I have not been to Winson Green since 1984 when I buried my Aunt I was shocked then to see how built up everywhere was particularly around Sandwell. To destroy what little Green Belt and play areas are left is criminal vandalism in the extreme and leaves nothing for the children of today or future generations. Cover everywhere with buildings, tarmac and concrete is total destruction of the environment and a place is not worth living in. Those who wish to destroy what little green havens are left have much to answer for and will be cursed by generations to come. It will be a tragedy if the proposed development succeeds and I can only wish those who are fighting it every success. It is with a great deal of anger and disbelief that I hear that they want to build on our beloved "Black Patch". I have read all the e - mails and stories avidly, from people who lived around the "Patch". I also lived in Vittoria Street, the first house under the railway bridge, opposite the "Wicket". As a member of the Hallsworth family we all, at some time, used the Park, whether as a kid just playing with your friends who lived in Vittoria Street or from Foundry Road school, or as my Uncle Cliff did, playing football for a local team. As a girl, I was always a bit of a tomboy and played football down the park with the lads.The only thing was I always seemed to be stuck in goal by Derek(Spud)Taylor!. I don't know why, I wasn't any good! It was the only "Green space" around and it wasn't till I moved to the leafy suburbs by the Lickey Hills in 1963 that I realised how industrial the area was, where I had been born and brought up. Please don't take away that oasis from the people who live around there now. The trees have matured no end, and we need this "Green and pleasant land"
I grew up in Carlisle Street and went to Foundry Road school in the 1960s. Black Patch Park was always a special place to play and I have may good memories of long summer days there. Very saddened to see that it is threatened. This 'patch'of history needs to be preserved. When I was a girl I lived in Handsworth and used to play in the park with frends; rounder. football ect. it seem a life time away but what sweet memories.We need to protect our green spaces for our children. I support the efforts of Friends of the Black Patch to retain the park as a public open space. As a child I spent many many happy hours in Black Patch Park - I lived in Vittoria Street and the park was where all the kids congregated. Living in such an industrial area the park was the only place where there were trees and somewhere safe to play and to breath semi-fresh air. I once got my wellington clad leg stuck in the palings overlooking the brook in the park...my friends fetched my mom who when she arrived said "looks like we'll have to cut your leg off to get it out" but on second thoughts - thankfully - she decided to take the wellington off and the leg was free again. On Coronation day in June 1953 it was a wet day and the street party was hastily re-located to the Sons of Rest building in Black Patch Park. I believe it is still standing and being used by many old gentlemen (and maybe ladies in this politically correct world). My friend and I used to help an old gentleman ( in the 1950's) to tend his allotment in Perrot Street his name was Mr. Davies....I am now wondering if he was one of the Romany Davies's..probably so, a really lovely man. Having lived in Australia for 40 years and only today having taken two of my grandchildren for a walk around the countryside which surrounds our 'little acre' makes me realise how precious Black Patch Park was to us Merry Hill kids. We were surrounded by industry, smoke and grime along with not being too well off. We could escape to the park and become whatever we wanted to be...especially after the Saturday matinee at the Winson Green Picture Palace. What about the memories and the history???? forget the almighty dollar. What is the matter with these people? Have they forgotten the importance of childhood. How about making some infrastructure that is pleasant for the many many families that live in that borough that have barely got gardens, or live in flats. Sandwell should be working on making it even better than it was (not that it would be possible for us who cherish our childhood days there). I was fascinated to read the bits about the Gypsy families, yet another valuable piece of culture gone! When will it end - when the last blade of grass is built on in Sandwell. Allthough I live here in Austria, as my dad (born in Smethwick) settled down here after WW II as an occupation soldier where he met my mother and I was born here later, I am proud having roots in the Black Country. Therefore I am interested in any kind of news from there. Being decended from the Smith Romany Gypsies I felt sad when I read your page recently about Black Patch. All these childhood-stories my dad used to tell me about this aera came into my mind again. It may be a sentimental matter, but I say that places like the Black Patch should be kept as a nature heritage and a place of rememberence. I don`t know if I have the right to say, but I am sure that many "modern" people never ever knew anything about gypsy settlements or even knew about the existence of gypsies in the UK all together. Having only just read your report on the intention to build on Black Patch Park, I hope I am not too late to register my support to your campaign that the park be protected and cared for as open green space. 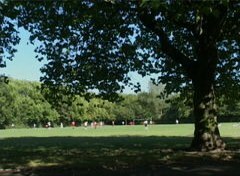 In my youth, the park was our meeting place 7 nights a week and as a member of Handsworth New Road School football team, it was, of course, our home pitch even if we did have to wash in a bucket. I am too a descendent of the Romanies of Black Patch Park-a granddaughter of Zachariah Davis (previously mentioned) You have the full support of the Davis family still around. Long should Black Patch Park remain, along with the memories of my family. When I was young in the late 1940's /1950's I used to walk to Black Patch Park or get the 96 bus to the terminus in Wellington Street. I used to take my two brothers Robert, Billy and sister Maggie there. We took some sandwiches and a bottle of pop and had a little picnic, we used to play on the swings and the slide and my brothers played football, It was like a day out. When I was married to my first husband he played cricket there some Sundays and sometimes I took my own children there also. I am very sad to hear of the proposed alteration to "BLACK PATCH" my family were Romany Gypsys - Smith & Davis and I believe my great grandmother's caravan was the last be burnt on the site after her death. The Davis's then lived in Kitchener Street after their subsequent eviction from the park. My father Zachariah Davis married a young girl from Wellington Street - Gladys Rainbow. Happy days spent with family down the Green and now the world gone mad and one of the few historic green places left to be built on. You have mine and all my families support in the fight to save our heratige. After we got wed Robin and I spent many happy hours with our kids playing in the park those were the days it would be a great shame if other people could not enjoy the park as lots of our generation did. I was astounded to read on the Winson Green /Brookfields Website that Sandwell Borough Council are considering 'designating' part of Black Patch Park for industrial use. On what possible basis, other than the usual one of blinkered bureaucratic greed (i.e easy money by flogging off assets to developers) can such a decision have been made? I have recently visited Winson Green, the area in which the park is situated, and there is already plenty of existing building space in the form of waste industrial land, so if the imperative is to get jobs back into the borough - a very laudable goal, and also the usual excuse trotted out by Councils trying to cash in for a quick buck- then why not use this industrial land? Is it because the cost of decontaminating this industrial land would be prohibitive? If that is the case, surely it makes even less sense to comandeer what little green land remains in an area of industrial blight and decay. I was saddened to see so many houses in a state of disrepair when last I was in the area, but it is precisely it's location that could become the area's biggest asset. The current vogue seems to be for people to live near their work i.e. City Centres. Witness the development along Great Hampton Row and the Jewellery Quarter. This development is spreading in the direction of Handsworth and Winson Green. If you doubt my word, I can tell you that 5 years ago I could have bought a freehold 3 bedroomed house in Preston Road Winson Green for under £15,000. That same house today would fetch nearer £50,000. I eventually bought a house in Handsworth. Why? 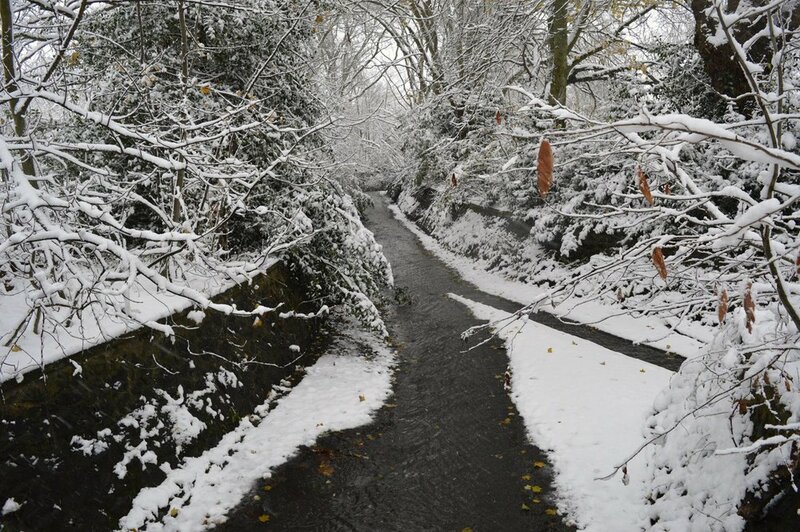 because it was near to Handsworth Park, with it's lake and acres of greenery! Anyone spot a pattern emerging here? "Cllr Thomas told delegates at Sandwell's Urban Regeneration Company 'vision day' at West Bromwich Moat House that progress was already beginning to make its mark. And he called for all the key players from both public and private sectors to join forces to make the vision a reality and create a Sandwell with more job opportunities, better housing, improved life expectations and a quality of life beyond everyone's expectations." Quite how he squared those words with the Borough's proposal to 'designate' two thirds of Black Patch Park as an industrial area is of course not explained. Whatever the reasons for this proposed blight, I think we should be told. My grandparents lived on the Black Patch Park many years ago, they were Romany Gypsies by the name of Loveridge. I myself lived in Avery Road and have many fond memories of the park. It would be terrible to see the park destroyed. The park simply has far too much history, from children playing to its use during the war. It was a trouble free place and as a child I couldn't wait to get there. Looking at the destruction of the houses during the war, we used to gather on the park and have no fears at all, regardless of the surrounding troubles. I started working at Avery weighing scales, I worked in the jig and tool drawing office. My boss was named Mr Len Blackham. I stayed at Avery's for many years working with a man named Ronald Perry who I eventually married. I was born at 182 Wellington Street in 1926 it would be better known as 'Smelts shop' opposite 'The Engine and lived there until I married in 1950. Black Patch Park played a great part of my life during all those years. I played on the swings, dropped paper in the streams on the bridges to watch it appear on the other side. Picnicked on the grass with my cousins who lived in Kitchener Street eating fish and chips from the local chippie outside the gates. I remember the local Council erecting a building in one corner where my father (Freddie Smelt) helped to start a club for local men known as the Sons of Rest. This would have been before the war I think - it was very popular. Is it still there ? Later I would walk through the Patch to Tangyes where I worked in the offices for 5 years. And what stories some of those park benches could tell! So no, PLEASE do not destroy an oasis of green in an industrial desert. What is this life so full of care if we have NO PLACE to stand and stare? Just a short story about the park. My Dad, who is now 84, played for AVERY`S in their football team. and I remember watching him play at Black Patch many times when I was very young, His name is Reg Carnell, and he worked at Avery's all his working life.. It would be a pity for the park to disappear, as the inner city areas do not have enough `GREEN AREAS` as it is. Celebrate and enhance Hockley and Boundary Brooks - as significant historical features that meet in the park, opening up selected areas near banks to let people see the streams, including low dams to increase the sound of running water. These are working notes developed by The Friends of Black Patch Park and subject to regular revision. "FRIENDS OF BLACK PATCH PARK"
Fun day included 5 a side football, Darren Moore WBA presented prizes to the winning teams. Darren More showing his support. BLACK PATCH PARK IS STILL UNDER THREAT OF DEVELOPMENT. THE FUN-DAY WAS ALSO AN AWARENESS DAY TO THE THREAT. 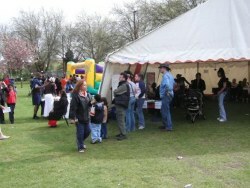 MANY HUNDREDS OF LOCAL PEOPLE ATTENDED. Darren Moore the West Bromwich Albion player who honed his skills as a youngster at the Black Patch. He is a local resident, long time user and supporter of the Friends of Black Patch Park. Darren says he will do all he can to help "Save Black Patch Park". Do you SUPPORT the friends of Black Patch?? Following the presentation to the Sandwell Town Council of our petition (see blow) requesting a change to the Unitary Development Plan so that 'the entire area of Black Patch Park and Merry Hill Allotments are protected and cared for as open green space in perpetuity', we have received notification that this has been rejected. It is now critical that we respond to the draft Smethwick Town Plan as this provides an opportunity to inflluence proposals for future land use strategy in the area rejected. These comments are submitted in response to the draft Smethwick Town Plan (March 2004) (referred to as “the Plan”) on behalf of the Friends of Black Patch Park. 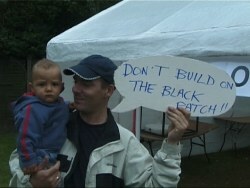 The Friends of Black Patch Park adopted a formal constitution in August of 2003 with the key aim of saving the whole of Black Patch Park and adjoining Merry Hill Allotments from building development, and ensuring that both these valuable assets are protected and cared for as open green space in perpetuity. We have since presented a petition to Smethwick Town Council and have been in contact with officers and members of Sandwell MBC. These comments relate to specific aspects of the Smethwick Town Plan - the Plan - as well as more general comments on the contribution of green space to economic regeneration. Broadly, The Friends support the vision and strategy of the Plan, especially its references to the retention of good quality open space and recreational land, the enhancement of conservation areas and other areas of archaeological and historical importance and strengthening cross border initiatives with Birmingham. However, we wish to draw attention to a number of serious flaws in the proposed plans, specifically those which relate to the future of Black Patch Park and its surroundings. As we understand it, a large part of the current park - approximately 2/3 of it - has been designated for industrial uses (e.g. B1 use). We also have fears for the future of the Merry Hill/Perrott Street Allotments whose future is linked to the Park and is wholly conditional upon continuing local demand. The loss of any part of this historic and well used park would be entirely a negative development. The proposal in the Plan is not only ill-judged in its intention of removing the greater part of an important local amenity, but is wholly inconsistent with the vision contained in the Plan of promoting the area containing Black Patch Park and the Soho Foundry as a potential World Heritage Site with heritage trail and other potential tourist attractions. At the core of this idea is the area's association with the Industrial Revolution, including the ancient boundaries that converge in the area, the two brooks that meet in the Park and, immediately adjacent, Telford's mainline and Brindley's original contour canal, as well as the historic association, recognised internationally to this day, with the Romany community. This site became a recognised Gypsy settlement from the mid-19th Century as industrialisation constricted their nomadic way of life. Black Patch Park, as it is known, has never been built on, being one of the few areas of land that through local political action - albeit at the expense of the Gypsies who were finally evicted from it in July 1905 - was protected from industrial encroachment, being recognised by local leaders as an asset to the surrounding community. The Plan consistently highlights the importance of cross border co-operation with Birmingham, mentioning the value of joint working on several occasions, yet one of our main concerns is that the plans for the “green wedge” conspicuously fail to take into account the needs of Birmingham residents living close to the Park and allotments. The Plan highlights initiatives such as the South Black Country/North West Regeneration Zone and the Housing Market Renewal Area, yet the plans to build over the Park, and the consequent potential for suppressing allotment demand off Perrott Road, contradict the momentum of these so-called joint initiatives. The plan seems wholly oblivious to the fact that Birmingham City Council's Soho Ward - whose western edge borders Sandwell - is notably deficient in green space, with such space as does exist in that Ward being inaccessible to residents and without the size, quality or potential of Black Patch Park. The Plan's current intention to work with Focus Housing to decant and rehouse a limited number of Sandwell residents living next to the Park takes no account of the dense residential area to the north and east of the Park - because they happen to be in Birmingham and not Smethwick. While the Plan fails even to meet the needs of those Sandwell residents and factory workers who remain in the area, only a highly parochial view of local authority boundaries could fail to take so little account of the needs of the community in the adjoining authority. The Plan ignores local people's psychological sense of place, taking no account of the fact that there are just as many people across the Birmingham border who identify with Black Patch Park as people living across the Sandwell border who identify with it. Furthermore, the proposed development in the current Plan seems to involve splitting the allotments off from the designated zone that is currently Black Patch Park, and retaining them only so long as there continues to be demand - a strategy which would have the effect of blighting the allotments by removing their link with the fertile “green wedge” comprising allotments and park. These measures threaten the tranquillity and security of the allotments, depressing their future prospect and in all probability reducing demand, thus creating the very conditions that would justify re-zoning the Merry Hill/Perrott Street Allotments for building. A further comment relating to the problems arising from losing two thirds of the Park is that the remaining third will be inadequate to meet current, let alone future, needs. The Plan provides for one full size football pitch and possibly one small 5-a-side football pitch. Apart from the fact that designating the remaining area for only one sport will reduce the diversity of potential use which underpins a successful urban park, this designation will not even meet local sporting needs for football. Focusing solely on soccer provision - valuable though this is - will preclude other sporting and recreational uses. Where will someone who wants to walk amid trees and shrubs enjoying the serenity of the park and listening to bird song throughout the year now go? What of the visiting school class whose pupils' understanding might benefit from exposure to this small but rich natural oasis? What of those families who might value a place to picnic in the summer months? What about the touring or commuting cyclist who observing Sandwell's TravelWise policies chooses to use the Park as a picturesque and safe route to and from the SUSTRANS national cycle path beside the mainline canal, or the young BMXers wanting the excitement of a local landscaped terrain (though still in the area designated for preservation the Plan doesn't show the Park's present abandoned BMX track)? What of the elderly who value a safe and beautiful place to walk - perhaps with a dog? What of those who need a place to exercise in company with others, for whom their GPs have prescribed regular walks? What of the infirm? Are they to be limited to a wheelchair circuit round a football pitch? What of the people working in the exciting new business park seeking recreation and a place to eat their lunch and take a break from their workstations? Where can people take advantage of an age-old function of public space to meet, and perhaps court, in a safe and attractive area? A good public park has different types of space to provide for a multitude of activities and inclinations. The remaining space allocated in the Plan is wholly incapable of sustaining the diversity that makes a successful public park. The Plan makes the remains of Black Patch as restricted in its use as a golf course or a running track only with less space than even these facilities would demand. The draft Plan proposes developing the two brooks that currently meet in the Park as its future boundaries. While we approve the idea of raising the brooks and enhancing their edges we do not want them to become mere boundaries. The famous Hockley Brook and the Boundary Brook should become central features within the larger Park separating but not dividing it - creating greater potential for diversity of use. Finally, the draft Plan acknowledges that the site formally occupied by Merry Hill Infant School was originally part of the Park and appropriated in 1968 for that purpose. It is obvious that whoever was in charge of that school invested in taking full advantage of the school's closeness to the Park. For example, they planted a range of specimen trees in the school grounds and there is evidence of a school garden with raspberry canes and other shrubs now running wild. We would like to see this area reintegrated into the Park, rather than see earlier complementary and friendly developments at the school used as an excuse to define the site as “brown-field', and therefore even more eligible than other re-zoned parts of the Park for hard surface development. Here is a part of the Park, an easy stroll from Foundry Lane, which lends itself to being developed as a children's play area and wild space where there is still an overgrown seating areas waiting to be enjoyed by future parents. We acknowledge Sandwell's record on green space in other parts of the Borough and ask only that the same concern and commitment be reflected in any review of the future of the Black Patch and its adjoining allotments. We re-iterate our support for the vision of urban regeneration contained in the draft Smethwick Town Plan and Sandwell Council's desire to improve the quality of lives of those it serves. We wonder therefore if in the case of Black Patch Park the key agents involved have ignored the vital contribution of green space to the success of their plans. As part of this plan BLACK PATCH PARK could be built on. has been formed to fight this part of the plan. THE WHOLE PARK AS GREEN SPACE"
To those of us that came from the edge of Birmingham on the Winson Green and Smethwick border, this was our back yard as far as a bit of grass was concerned, naturally the street was our football pitch and cricket square, but we would drag ourselves down to the Black Patch in the better weather, it was a park then with a tennis court, football pitch, swings and even for a few coppers a putting green. The bank at the back of the swings would lead up to the houses in Kitchener St it was used as battlegrounds for a mob of kids emulating their previous generation in daring do, cap pistols from Woolworths and helmets that were bought from Bushells in Lodge Rd, made up the infantry, the sun never seem to stop shining through the long holiday in the summer, after getting fed up of being shot and rolling down the over grown bank we played on the swings and roundabout, this was thirsty work, and we all knew where to get a drink from! It was the water fountain that stood at the end.The focal point was the water fountain, by the swings, it stood about three foot off a stone pedestal, a monument from a long gone age. It was made of cast iron and to operate it would be a brass plunger, the water would come out in a little trickle, it was always freezing cold, which was great after a mornings playing and scrapping with our neighbours from across the other side of Wellington St, or should I say Smethwick, there was one drawback to this fountain, if you were too small you couldn't reach it with your mouth, but the solution was there in the form of a cast iron mug chained the fountain, the mug was bright and shiny as over the years thousands of little grubby hands had polished it in the need of sustenance ready for the next battle. Kids would scramble around the fountain arguing whose turn it was next, and so another scrap was in the offing. Our mom though was always telling me not to drink from the cup as you didn't know who'd been there before, and you could get 'Canka' or whatever that was, but I wasn't tall enough so would have to take the option and clean it with edge of my 'Ganzie' or shirt sleve. As I said there was always a ruckus and inevitably the 'Parkie' would make his way down from his house that was top of the path going out into Perrot Street. We would here him coming down the path, his gleaming boots crunching the gravel underfoot, his smart black uniform and peaked hat marking his omnipotent presence, a watch chain from his top pocket and of course his ex military ribbons above, kids would scatter across the bridge or go the other way past the swings, If he copped you you were in for a rollicking, he wasn't a big man in stature but him being there was enough, he was always threatening to tell your parents, he must have been a sage of knowledge, because our dad had never took me down the park, but I wasn't going to give him that chance, and off I'd fly with my mates and wait till he'd crossed over the bridge into the other side of the park, before venturing back to the fountain, but you had to be quick as the race was on to get the first drink from the clean cup, and off we would go again, swings, see-saw and so on, and the usual scrap till the 'Bull' went off at Avery's and you knew it was time to get off home before the old chap saw you in all your glory, dirty knees hands and face and shirt hanging out over the trousers. The battle lines would inevitably be drawn in Black Patch Park. A fenced off brook, carrying all sorts of unknown toxic effluent from factories, separated `our' patch from Wallah country. We would infiltrate along the brook and invade from a bridge further down stream. `Ammo' as we called it (sticks, stones, bricks etc.) could sometimes be hard to come by. That was until for some reason, which is still unknown to me, loads and loads of building rubble was dumped in the backfield, deep in the heart of Wallah ground. They were quick to exploit this by building bunkers and other defensive structures out of the large pieces of masonry, which included broken up gravestones, and keeping the smaller stuff for ammo. Well, this was a red rag to a bull. Those structures had to be destroyed whatever the cost. Looking back, I'm surprised the cost wasn't greater than it actually was. In fact, such was the ferocity of the ensuing war it's amazing that nobody was killed. Being completely unprepared and unorganised (I blame our generals), our first onslaught was about as effective as the Charge of the Light Brigade. We were easily repulsed by a heavy bombardment of stones and half-duckers (broken house bricks) launched by the Wallahs heavy artillery. Injuries were sustained and prisoners were taken. The latter were later released in exchange for building material. The grossly exaggerated stories the released captives had to tell were terrifying. They included tales of numerous breaches of the Geneva Convention, such as being tied hand and foot, being tortured with lighted candles, and being forced to work as slaves to repair the few defences we had managed to breach. As far as our forces were concerned, this was it - no more skirmishes. This was all-out war. From now on there would be no quarter given. We needed to take time to organise and gather sufficient resources. The cuts and scrapes sustained by some of our gallant soldiers told us we needed protection from the superior artillery of the Wallahs. A scouting party was sent out to collect dustbin lids from their own homes to use as shields. One of our ordnance experts discovered that with a bit of patience and brute force, the iron railings around the brook could be loosened and removed, making them ideal for use as spears and lances. These new sophisticated; lethal armaments enabled us to equip commando-raiding parties who carried out successful sorties to capture materials and manpower for building our defences. The security offered by these new fortifications served in attracting more willing recruits. Although there was some initial opposition to them, my sisters enlisted for front-line action. Neither of them were bad scrappers but, besides this, their presence had the added advantage of attracting some of the bigger kids into our ranks - those, who for some strange reason enjoyed the company of girls. Unfortunately, they did also attract some characters we could have well done without, like the prat who worried about getting his white socks muddy in case his mother killed him. That was one advantage our enemy had - there were no wusses like that in their ranks. Nor did they have any sissies who had to leave the battlefield at mid-day because their mommies would have their lunches on the table. (This was probably because there was nothing to eat in most of the houses in Merry Hill.) No, the Wallahs would bring their own provisions for the day, a stale jam sandwich and a bottle of water. And brother, couldn't they fight on that? Just like the Japanese who could give the yanks hell on just a bowl of rice a day. With both sides evenly matched, as with most wars, the upper hand swung between the two. Ground captured one day would be lost the next etc. Then came the rains, which left Black Patch Park resembling the Somme. I can remember both sides being bogged down in their bunkers, with no action taking place for a whole day. Then things began to turn. The elder of my two sisters began fraternising with a fusilier from the other side. He managed to convince her that going to a matinee at the Winson Green Picture Palace would be preferable to wanging half-duckers at a bunch of gorks in the Black Patch Park. As she had a place at a grammar school in the coming term, I thought she was fairly intelligent, but she fell for his crap, hook, line and sinker. Fortunately, the vast majority of the combatants were more committed to the cause (whatever it was), enabling the war to carry on almost to the end of the long summer's break. I can remember my sister and I returning home, elated, battle weary and covered from head to foot in mud. Our mom would be leaving for her cleaning job at 5 o'clock so, fearful of her wrath when she saw the state of us, instead of going round to the back door, we sat on the front step to await her departure. We knew that in her rush to work she would not have the time to stop and clatter us.